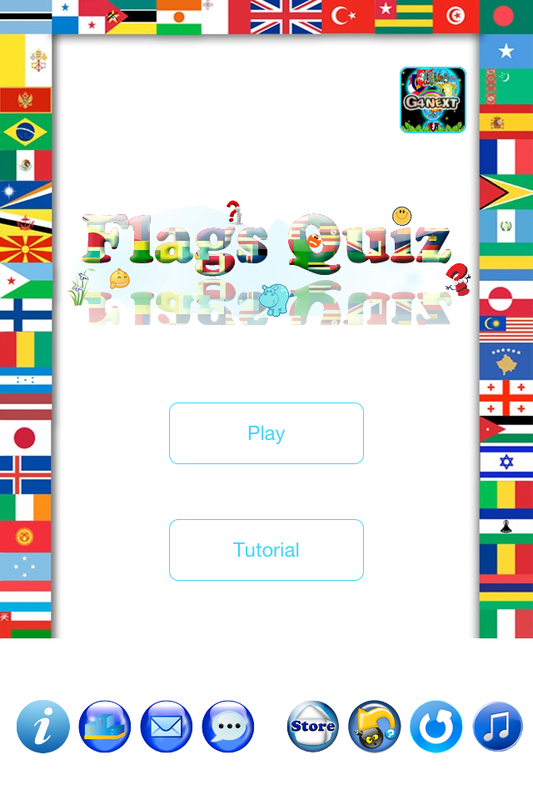 National-Flags Quiz name provides a way for players to test their familiarity with different national flags. There are plenty of nations all over the world! But how many national flags and names can you remember? Challenge it! This game collected nearly 200 national flags for you to recognize. 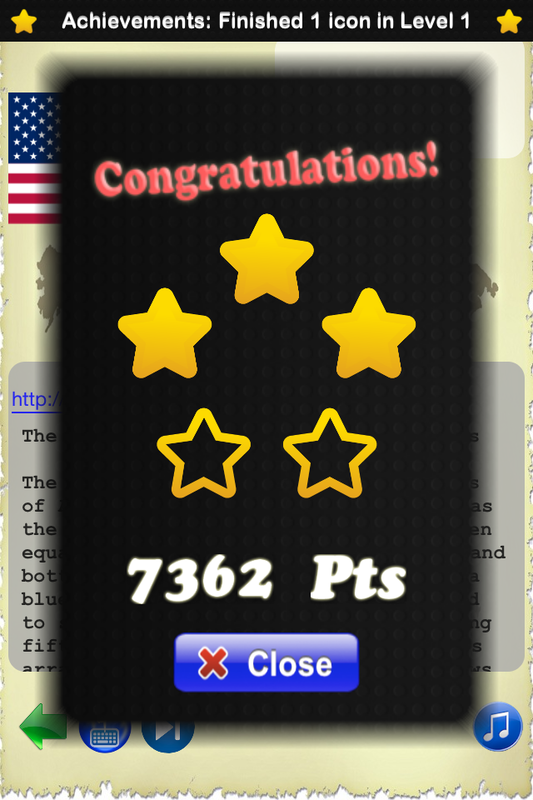 It's strongly recommended that you go through the tutorial first, before playing the National-Flags Quiz game. We prepared a guide in detail, to show you how to use all the clues in this game. The game procedure is just inputting characters with keyboard then "Check" your answers. Only alpha characters and space is needed (no punctuation marks). The characters are case insensitive. Each icon may have more than one correct answers. Such as "USA" or "United States". Different points will be given according to the length of your answer. Stars and points will be earned with a correct answer. Time, hints, bombs used in quiz and wrong answers will affect the number of points and stars. The points for one icon varies from 1000 to 10000. The stars number got within one icon is 1 to 5. 3 hints can be used for one flag. Each will prompt some useful information of this nation. Bombs can used to remove unnecessary keys. 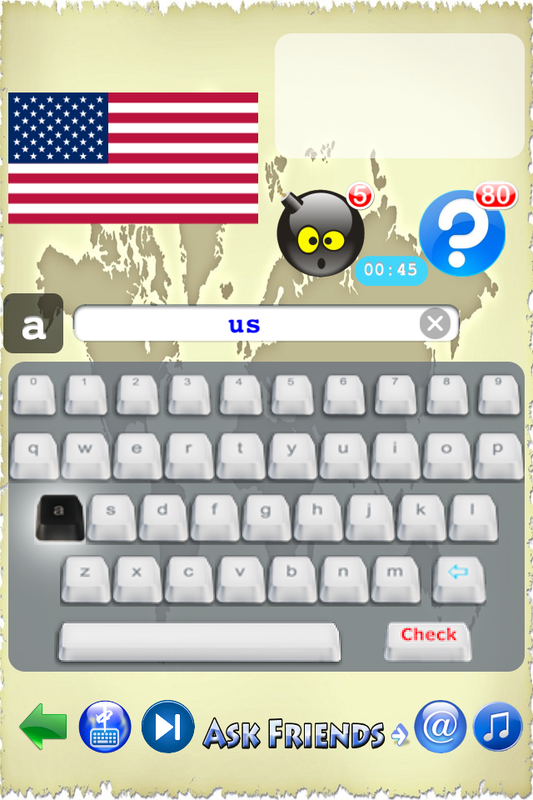 After bomb is used in an flag, you can touch it to show the correct answer in sequence of alpha characters. The keys on keyboard will blink to show you the answer. Try to remember it! Each time you tap the bomb, the interval time of keyboard will be longer, and easier to remember. You can exchange hints to bombs. Or buy hints within this game. You can ask friends about the flag you are guessing, through twitter, facebook, sina weibo, or other SNS services. They will help you find out the correct answer! 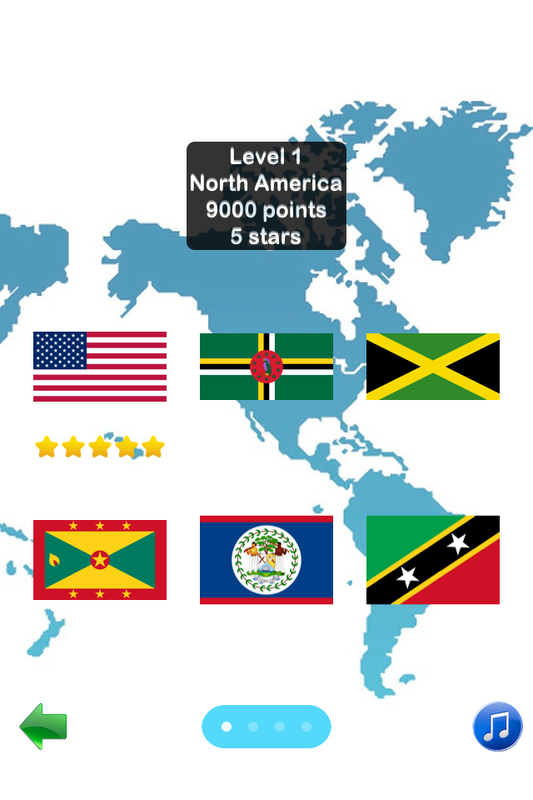 There are several levels which contain different national-flags. More than 12 correct answers in a level will unlock the next level. We prepared up-to-100 achievements for you to gain. Got all the achievements! Try to find the hidden achievements! Two leader boards of stars and points are provided. Gain more stars and points and show it to your friends!